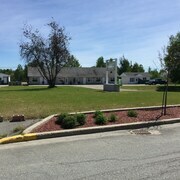 Where to find Val-d'Or hotels near an airport? 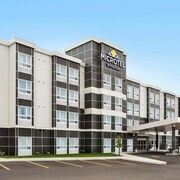 Where can I find hotels in Val-d'Or that are near tourist attractions? 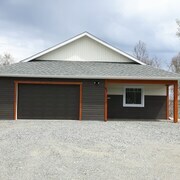 If you love the combination of city living and the beauty of the wildernesses, Val-d'Or was made for you. Many people rushed to the unspoiled terrain of Val-d'Or when gold was discovered here in 1923. Mining is still a vital part of the local economy today, and of course, all of the amazing opportunities for outdoor recreation in Val-d'Or are worth their weight in gold. Journey to this captivating portion of Quebec for some fresh air and relaxation the next time you need a vacation. 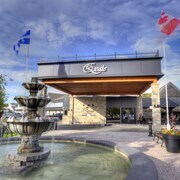 You can count on Expedia.ca to connect you with amazingly low rates at hotels in Val-d’Or when you book your holiday with us. Stick around to learn tips and tricks for sticking to your budget in the Valley of Gold. This glistening city is famous for its expansive parks and wildlife areas, lush forests, and fun cycling paths. Many former mining sites have been transformed into museums that can be explored by visitors. 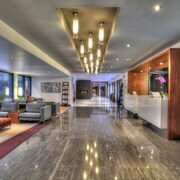 Since the city has a fairly large population, many modern conveniences and amenities will be right at your fingertips. Summer days shimmer like gold in Val-d'Or. You can expect temperatures to stay near 24 degrees Celsius for most of the season. Bring an appetite for warm cocoa if you arrive during one of the city’s chilly winters. You’ll have plenty of excuses to get cozy at a great Val-d'Or hotel or lodge when temperatures dip below freezing. Spring and fall are quite mild and pleasant, and this golden city offers very high averages of annual sunshine per year. Visit Cité de l'Or to explore the preserved remnants of the Lamaque Gold Mine. You’ll also have a chance to tour the mining village of Bourlamaque. If you’re looking for some outdoor excitement, the areas around Lake Blouin and the Harricana River offer many beautiful locations for fun and sports. Are you ready for a few decadent days at one of the great hotels in Val-d’Or? 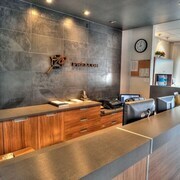 The amazing travel tools right here on Expedia.ca will help you get the best deals in the world in a matter of minutes. Are you trying to avoid overpaying for your next long holiday or quick weekend getaway? Our all-inclusive packages will give you relief from high prices. Act quickly to bundle Val-d’Or flights and hotels for one amazing rate while the hottest deals are still around. 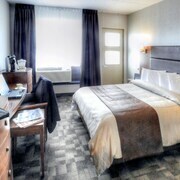 Our all-inclusive packages include rooms at many of the most luxurious hotels in Val-d’Or. We even have some cheap offers on car rentals in Val-d'Or hiding up our sleeves. We're committed to making sure that finding affordable travel rates doesn't have to be as complicated as mining for gold in the old mines of Val-d'Or. 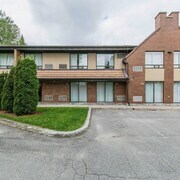 Seal the deal on your future vacation plans by searching for cheap rooms at lovely Val-d'Or hotels on Expedia.ca today. 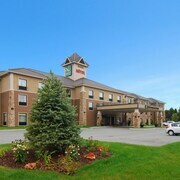 What are the most popular Val-d'Or hotels? Are there hotels in other cities near Val-d'Or? 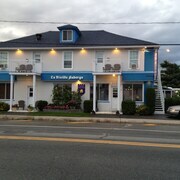 What other types of accommodations are available in Val-d'Or? Explore Val-d'Or with Expedia.ca’s Travel Guides to find the best flights, cars, holiday packages and more!